No one gets into marketing to put their creativity on the backburner and just coast along doing the same thing every day. Part of the ‘pull’ for people who choose this profession is the opportunity to stretch their skills to the limits, and stay continually abreast with the latest consumer trends and technologies. Whether it’s VR or AI — digital marketing is always finding ways to push the envelope. Here are 13 skills that industry newcomers should be cultivating for 2018. Don’t neglect the importance of critical thinking — analytical skills will help you navigate the increasingly splintered marketplace of tools and tactics. Developing your skills in analytical thinking will help you notice patterns and identify the best areas for digital investment. Analytic decision tree software can help you visualize your end goals and draw the most effective route to success, with each decision ‘branched out’ and prioritized in terms of costs and probable outcomes. With the surge in popularity of apps like Periscope, it’s never been easier to ‘out-scoop’ your competitors and create compelling live video attracting hundreds and thousands of views. 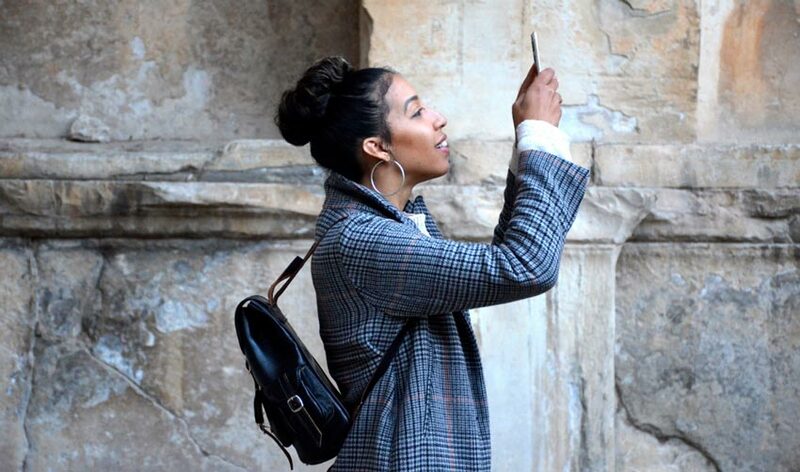 There are approximately 2.1 billion people carrying high-quality video cameras around with them at all times; live video apps are ‘leveling the playing field’ amongst content creators. So if you have never experimented with video before, there is no-longer any worthy excuse not to start learning the ropes. If you’re going to an industry event, come up with some event hashtags ahead of time and think of some interesting locations and people to interview. Live tweeting is also a highly effective way of boosting social engagement — people love to follow an event hashtag, retweet commentary, and add their own input. Many marketers may have a love/hate relationship with Twitter, but live tweeting is an important reactive skill to cultivate. It’s the best way to get to grips with rapid, succinct content creation. Just make sure you are attracting input for the right reasons. In learning how to make the best of automation systems, marketers learn how to streamline their workflow and become more productive. AI has led to an increasingly sophisticated set of tools available to marketers and brand managers — and this is only set to increase. Tools like Pardot and Marketo help you generate more sales and brand engagement, allowing you to do more with a smaller marketing budget. In 2018, it’s all about embracing smart automation in order to do more with your day and money. Really understanding your audience is increasingly important in a world that’s filled with digital ‘noise’ and clumsy marketing personalization. As well as analytics and data, marketers must get comfortable with talking to people and getting under their skin. In 2018, effective communicators will have the edge when it comes to creating campaigns that are going to go the distance. Marketing is increasingly about serving people’s needs, not being wacky and creative like in the old ad agency days — and UX is part of that shift. Marketers need to get comfortable with UX design as design and development teams become leaner and more marketing focused. Using the correct technical terminology will help marketers build better apps and oversee development projects with more ease. Read up on emerging fields like UX design in VR to get a feel for how new tech is impacting marketing and design decisions. Head to the library or pick up your favorite novel to get an idea of how the best stories are told. What makes the brand unique and relatable? What obstacles does the brand face? How will the company overcome these odds to meet its goals? Storytelling techniques help build customer loyalty. 360° video is being embraced by travel brands like Thomson to drop viewers into highly immersive marketing experiences. It’s Northern Lights Facebook campaign offers stunning 360° views of the aurora borealis, to convince people in a unique way to book a trip. For brands that offer real-life experiences or highly visual products, embracing this technology will give you an edge you over the competition. Marketers need to get to grips with easy online monetization methods to propel brands and businesses to new commercial heights. For ecommerce brands, dropshipping has changed the playing field, and enabled online-only retailers to benefit from geographic arbitrage. Definitely a logistical tactic for marketers to embrace and spearhead. Similarly, there is a huge untapped affiliate market out there — niche affiliate marketing is incredibly lucrative, and is one that forward-thinking marketers should embrace. Not every marketer will need full training in HTML and CSS, but knowing a few basics can help you make adjustments to websites as and when required. By understanding the principles of web builds, you will have a better relationship with development teams and more autonomy as a webmaster. As more and more internet users install ad blockers on their browsers, native advertisements allow marketers to spread their messages ‘under the radar’. In 2013 the native advertising industry was worth $4.7 billion. Now, in 2017, the industry has grown in size to $17.5 billion. Previously, brands were holding back on native advertisements, as many thought that readers would be turned-off by sponsored posts. But as the growth figures suggest, internet users are becoming more used to seeing and interacting with sponsored content, and it’s a thriving brand marketing tactic. Getting granular with your data analysis will help you test and adapt your marketing campaigns to get the results that you need. With better reporting, data collection and decision making, you can ensure your marketing budget is being spent in the most effective way. Influential people aren’t just found on TV anymore. Millions of influencers are taking to Facebook, Twitter and Instagram and many attract millions of devoted followers who hang on their every word. At the moment, the micro-influencer marketing industry is massively underpriced, so marketers should be jumping on the opportunities available to them. Letting your influencers bring their own voice to a brand creates a sense of authenticity and raw honesty. For marketers of all types and levels, paying attention to the latest industry developments should become second nature. Skill-up in your spare time to keep your campaigns fresh and relevant in the years to come. Gareth Simpson – Technical SEO & Startup Founder. Gareth is a search marketer who loves to share his SEO knowledge with the wider marketing industry. Always keen to innovate and test out new ideas, Gareth knows the value of staying up-to-date with marketing technology.